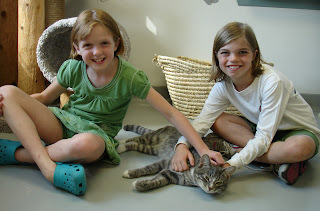 Second grader Rebekah Morrison and third grader Sophie Lussier recently decided to raise money for the Medfield Animal Shelter by selling lemonade. 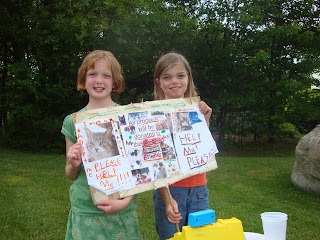 The girls were out there several weekends and raised $80! They came by today to drop off their donation and meet the pets their money will be helping. Way to go Rebekah & Sophie! I'm sure lots of animals will be much better off because of what you two have done. Congrats! Chance in his new home! 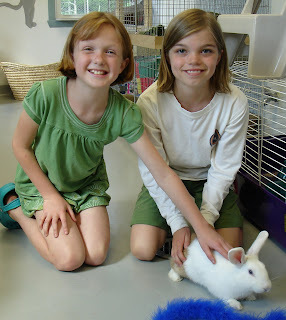 Pearl the Bunny Finds a Great Home!